Okay, so ive got to the end of AO mostly... Just moping up & i hate to say this but this was not a good game... It is an infinetly inferior game to both Arkham Asylum & City. Its story is lacking, everything you were sold on in the trailer is essentially a lie, its just another Batman versus Joker game, except this time Joker is bland... When you've found a way to make a bland Joker story, you've offciailly lost any right to every try to tell another story. Black Mask is replaced about 30 minutes in by the Joker, the 8 assassins become mostly side missions with little bearing on the main missiion & the story doesn't make any sense... A the first couple of hours is just you running from place to place, trying to resolve a single boring to start with plot point, one you didn't care about even when you could still remember what it was... Something that quickly develops into plot amnesia when you realise you are just falling arse backwards into plot progression... As a plot its just bland & derivative. An honestly thats the problem with Arkham Origins through & through.... Its bland, safe & derivative. It rips off everything done in the earlier games, without realising why it worked in the first game & loses any of the urgency of doing those things by being so formulaic. Scenes like the Scarecrow fear gas sequence where you go in to 2d side scroller have been replicated, but without the programming quality of the previous games in that the stages are at an angle to the point that anyone using a keyboard literally cannot walk in a straight line. An unlike the previous games none of the dream logic makes any sense at all, to the point where that old writer cliche of "insert reference to wonderland here" might as well mean "writer please insert bad LSD trip here" rears its ugly head. Heck they even replicated the "I'm dying, i've been drugged, now i'm fighting hallucinations" schtick; albeit with much less skill & as a plot point that from start (being poisone4d) to finish (getting a cure) i swear takes less than 5 minutes to resolve. If you were to make a check list of everything you did in AC, AO does it, but in a more bland way. Likewise the city is a pale imitation of AC's sprawling, beautifully rendered open map. Every part of the city is that one part of the city replicate ad nuseum. There is literally no space to glide in the city, nothing interesting to see. Any worst of all, the riddler puzzles which were so much fun in the last one, just weren't up to scratch in AO. An as far as power progression goes, its a sprawling map of powers you'll never use, can't remember how to use, or need to unlock by completing side missions without any internal logic to it. An unfortunately the same goes for combat. Where the previous games gave you a lot of options to mix & match how you want to fight including using gadgets, well before half way through AO it becomes abundantly clear that the designers got sick of being clever or designing interesting level layouts & just threw up there hands announcing screw it, just through hin in to a room full of 30 thugs & let him fight them & then for the next room lets have 30 more thugs, but different thugs. The amount of times in which this game immediately removed the powers & techniques you've spent the game cultivating invalidates a lot of the hard work you put in. An the less said about the final Bane boss battle the better: Let me just say that it is a travesty of poor programming & a grab bag of the worst design no-nos its possible to put into a single encounter. Lets just say that the poor programming leaves you finishing the story mission with a very VERY bad taste in your mouth & no desire to do any of the other side missions... It decimates the entire rest of the game & is utterly frustrating in a way that a boss fight should never, ever be. Compared to the previous two games this one is subpar, heck calling it Subpar would be an insult to Subpar games... An i'm not even going to mention the multiplayer game, on the basis that it should never have included a multiplayer game. Huh, now I want to play through the game so I can talk about it, but I've got both Lego Marvel Superheroes and Assassin's Creed 4 on the go right now, so it's going to be a while before I get to Arkham Origins. Not even an hour ago, I have just completed the main story of Arkham Origins. There are many opinions that I want to put down on the table. I must also note that the following will contain spoilers of the story presented in the game. For those of you who have not played the game yet and want to be surprised at what will be to come, I recommend that you please do not read the section below. Also, I only played the original mode on Hard mode. So, I have no idea of what is in the New Game Plus or the other game mode. When the game began, I was truly excited, because I was finally playing the next "pre-chapter" of the "Arkham-verse". As I have stated in my last post, the "tutorial" level of Blackgate Prison was linear, but that is to be expected for a tutorial and I will overlook that. The events at Blackgate present "Black Mask" (who happens to be Joker in disguise, but I will go over that later on) killing Commissioner Loeb in the Execution Chamber with the help of Killer Croc (Weylon Jones). It was then that Batman (Bruce Wayne) needed to go after "Black Mask", for he placed a $50 million dollar bounty on Batman's head and hired 8 assassins to kill Batman. After returning to the Batcave, you learn of the 8 assassins: Killer Croc, Deathstroke, Deadshot, Bane, Copperhead, Shiva, Electrocutioner, and Firefly. It is at that moment that I thought that the 8 assassins would comprise the game's main story bosses. Sadly, I was wrong. Next, the revealing of the Riddler before the Riddler: Edward Nashton, a.k.a. "Enigma". I was also excited to see Riddler (as I will keep calling him) again. It was also then that I remembered the tedious collection of different Riddler related objects around Gotham. This revealence made me both excited and annoyed at the same time. Then, entering into the open world Gotham City, I felt so glad to be able to roam the city and give the beat-down on the thugs. At this point, Batman is tracking down Penguin for info on Batman. After dealing with "Loose Lips" Leblanc, it became clear to me that I had to do some running around before getting into the Final Offer, as well as open up another fast travel location from Riddler's grasp. Once getting into the Final Offer, things started to get fun for me. Then, I got to the Boiler Deck and encountered Electrocutioner. Oh, what a let down that was. The only thing that happens with this encounter is that Electrocutioner monlogues toward Batman until you approach Electrocutioner and go immediately into a cutscene where Batman KO's Electrocutioner by kicking him in the face. THAT'S IT. I can at least think of a few moves for Electrocutioner to use against Batman in that encounter, but NO, that is it. Ugh, why did they even put him in if you do not fight him? But enough on this for now. Next, after getting to Penguin, you get to fight Deathstroke. Oh, how excited I was in fighting him. After a bit of figuring things out like a newb, I was able to take out Deathstroke effectively. The only thing that I wish that could have happened was a bit more of Deathstroke having his regeneration ability during the fight. Other that that, I was quite happy with the boss fight. Then, with the revealing of Anarky, I immediately went after him. I quickly realized that it was another Victor Zsasz event similar to Arkham City. All you need to do was run across the full length of Gotham thrice before fighting Anarky at the Solomon Wayne Courthouse. I did feel nostalgia during this part, for I was returning to the Courthouse BEFORE Arkham City. Honestly, Anarky was easy and was taken out easily. It was now time for me to enter the GCPD, and I got through this easily thanks to some presented gameplay from YouTube. I do not have a lot to say on this, but I felt it was built nicely. After leaving, I helped out young Barbara Gordon in taking out some Penguin shipments. Easy and simple. It was then that I entered the sewers to get to accessing the GCPD criminal database. This did not take long (except for the part of trying to get down into the holding cells area, for I got lost shortly). Once the sewers area was completed, the funniest part of the game (in my opinion) happens. The "sing-vitation" from the Hatter. Oh, how I loved this little bit. It was then I went to take out the Mad Hatter. Things were simple, and then things went to Wonderland. Very side-scrolling and not as eventful as I thought. I wish this would have been done a bit better, like what they did with the Scarecrow events in Arkham Asylum. But in the end, you take out Hatter like you did with Ra's al Ghul in Arkham City: the Reverse Batarang. And then, I finally got to use the newer evidence scanner for the second time in Lacey Towers to first learn of Joker. I do not have much to say on this either, but I felt it was built well. Then, finding out that "Black Mask" was at the Bank, I felt that things were starting to reach the pinnacle of the tale, only for it to quickly unravel that "Black Mask" was Joker in disguise, and the real Black Mask was a prisoner of Joker. Then, things started to click with me: Joker placed the bounty of $50 million dollars on Batman's head. For what reason? This was not fully explained. This motive was missing. If Joker and Batman met before these events, then things would make more sense, but as a first encounter makes NO SENSE WHATSOEVER! Then, once finding out where Black Mask really was, I was going to go after him, but decided to do the Shiva side quest, only to finish it faster than I imagined. It was also revealed that Shiva was working under Ra's al Ghul to test Batman. I found this very reasonable, and very in depth. Finally, I got to go rescue Black Mask from Joker, only to get ambushed by Copperhead. Okay, I am fine with that and makes sense. The battle, however, was not as entertaining as I thought. I was downtrodden with the battle, but there was more to the game than that. 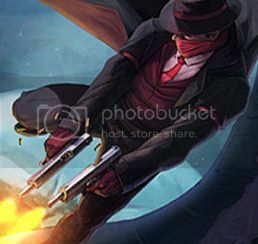 I then went out to destroy Black Mask's drug supplies across Gotham until I got to 2 canisters left, where I then went after Joker in the Royal Hotel. All I need to say is this about the Royal Hotel area: "Why so long an area?" I mean it felt like FOREVER before I finally got to Joker. But, let me pause there to point something out: Electrocutioner was killed off by the Joker in the Hotel. Sure, he is killed off and will not come back for other Arkham games, but I felt REALLY horrible for I never got a true encounter with him. He could have been a great battle in the game, but he was pretty much forgotten about ENTIRELY. Did I mention how long the Hotel level was? Did I mention the first fight with Bane was DIFFICULT. Sure, I was playing on Hard Mode, but his attacks seemed to keep homing on me and I kept dying in that fight. After that, I needed a break from the story and went to do some more running around, dealing with Riddler and Black Mask. Let me just point this out: Black Mask was a pushover, despite being the "main villain" in the game. This frustrated me very much, especially with WB making the real Black Mask into a side quest and Joker into the main villain of the game. VERY misleading and I did not like it. Then, I went back to the game and followed Bane to his field office to learn that they made a Titan inclusion in the game, which I was happy with. Then their revealing that Bane knows of Batman's identity was even more greatly interesting, especially since Bane is supposed to be a tactical genius in the original DC lore. Then, going after Bane's lieutenant, Bird, was underwhelming. Now, I need to speak of Firefly and his level. Great build of the level, and Firefly truely felt like a boss fight for a Batman game. Definitely, on par with the Deathstroke boss fight as #2, for #1 will ALWAYS BE THE ARKHAM CITY MR.FREEZE BATTLE. After that, one last encounter with Joker (at a prison chapel, how funny for the Arkham City's Lost reference being "how it all ended in a church".) Simple, just mash buttons. Overall, It was a 7 out of 10. It is fun to play, and I will still play it, but they needed more thought with the story. That is all I need to say about this game. I'm skimming and have avoided spoilers, but can't find opinions on the game that aren't surrounded by spoilers... anyone want to voice their opinion in a spoiler free way? I'll settle for a "good" or "bad" or "not as good as X but still fun" or similar. The game is fun, but don't expect many new or innovative design and game play elements. A rating of 7 out of 10 is fair if you're a fan, and maybe a 6 if not. I really think we all were spoiled a bit with Arkham City! insaniac99 wrote: I'm skimming and have avoided spoilers, but can't find opinions on the game that aren't surrounded by spoilers... anyone want to voice their opinion in a spoiler free way? I'll settle for a "good" or "bad" or "not as good as X but still fun" or similar. - Combat is now graded, based on how many useless abilities you used in combat. Be effective & get a low grade, be less effective & get hit while being ineffective get a low grade, be ineffective & don't get hit get a high grade. - Its a 20 gig game, that requires both steam & a online download just to install properly. - For the size of the install its not a comparitively better game given that this game takes 4 DVD's, where as the previous 2 games combined don't take 4 DVD's. - About half way through the game almost every other encounter is a "game takes away all your abilities" encounter, sometimes with multiple layers of "game takes away all your abilities." So the TL:DR version would be simply this. Everything this game does right it does right because it was "borrowed" directly from Arkham City.... Everything this game does wrong, is literally everything WB games Montreal added, to the point that their inclusions actively hamper the good things designed by Rocksteady. Even the story is lackluster. Where the other games are telling a specific story, with specific concepts, Arkham Origins is very much like the difference between Bioshock & Bioshock infinity. Where Bioshock was telling a specific story about the downfalls of subjectivism versus objectivism in execution, Bioshock Infinite just throws disconnected social messages at you in the hopes that you'll mistake it for being deep... Arkham Origins does the same thing: Instead of having the courage of a single plot, it instead throws a dozen different plots at you & hopes that one will stick... Unforutnately they don't.... Suprisingly none of the plots thrown are the plot promised in the trailer. both Arkham Asylum & City are better games. If you enjoyed those two & were hoping this would be an extension of those i hate to say tis not. If you want Arkham City but with less skill, a worse story & mission layouts that actively punish you for playing then its totally the game you want. In the simplest terms, Arkham Asylum & City were examples of what happens when game designers & story tellers get together to tell a specific compelling story using player input as a resolution mechanic. Arkham Origins however is what you get when a lazy development decides they want the same level of success, but are unwilling to put in the same level of effort, so instead of developing a game just make a list of all the popular things in those games & start checking off points. Wow, thanks for the detail Saint Mathew. I will give it a miss until it goes on a massive sale and then decide. About the only thing I don't mind in your list is that it uses steam and is such a large game. Here's my review of this game. Batman is one of the greatest fictional characters of all time and I am allowed to say this because, as a blogger, I can make unsubstantiated statements that I claim to be absolutes (he is, though). Thus, Batman can be many things: violent, anti-social, heroic, crusading, angst-ridden, driven, and even funny. 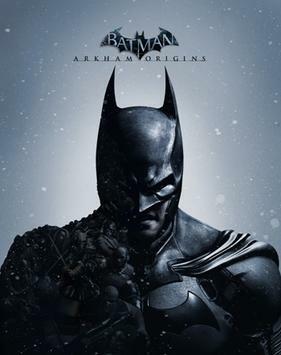 Arkham Origins, the third installment of the popular Arkham Asylum series, is a work painfully driven by corporate desire to capitalize on the previous installment's success. Arkham City was a top contender for Charles Phipps' Best Game of All Time. I say that as an unmitigated Batman fanboy and by no means an unbiased judge. Arkham Origins builds on Arkham City's engine, map, and even storytelling engine to create itself. The results are, unfortunately, underwhelming. Arkham Origins is by no means a bad game, but this is damning with faint praise. So okay, it's average (thank you, TV tropes) would be a good description of how I feel about it. After the tremendous success of Arkham City, Montreal game developers were always going to have a tough act to follow. Still, I think they could have done better as the haste in which this game was pumped out and it's myriad flaws show everywhere. The premise of Arkham Origins is little known Batman villain, Black Mask, has placed a staggering 50 million dollar bounty on our heroes head. This is considered ludicrous by Gotham City's criminals given Batman has only been operating two years in Gotham City and is considered an urban legend by most. Eight of the world's greatest assassins choose to respond along with every crook and corrupt cop in Gotham (the latter of which compromises all of them but James Gordon). The first problem with Arkham Origins is this premise isn't bad but it's lacking punch. In Arkham Asylum, Batman must rescue Commissioner Gordon. This is a personal motivation and works fine. In Arkham City, there's the layers upon layers of mystery to figuring out Hugo Strange's plot. As Alfred rightly points out, Batman could just stay at home and avoid this mess entirely. Batman retorts the villains are likely to hold Gotham City citizens hostage in order to draw him out, which is great but one which takes awhile to get put into effect. There's also a twist with this premise I won't spoil but proves to be wholly unnecessary. The character of Black Mask suffers because of this twist as does the narrative. I understand Black Mask's not as popular as other Batman villains but the game could have waited to dump him in favor of Bane and a certain other famous Arkham alumni (whose still alive in the period this story is set). The next problem is Gotham City feels rather lifeless. I understand it's impractical to try and replicate a modern city of millions and the excuse of both a massive crime wave as well as an epic snowstorm make a reasonable excuse for why only criminals are on the streets. Still, I would have appreciated the level designers throwing in some acknowledgement Gotham City is inhabited. Have there been citizens traveling the streets who need to be rescued, lights on in buildings, and maybe the occasional scarred witness to the Batman's activities. Travel time is a problem in Gotham City as well. The game world is open from the very beginning, which is usually a plus, but the leaping from rooftop to rooftop in order to cross across the massive islands gets tedious after awhile. The fast travel system cuts down this frustration but it, honestly, feels like cheating. I would have preferred the game to open up the islands of Gotham one by one to make things feels tighter. Then there's the fact the game is bugged. Not so bugged as to make it unplayable, at least on my Xbox 360 but enough to be noticeable. Criminals get stuck in walls, the frame rate drops when you're traveling too fast, and I actually had to go back into a room to finish a boss fight because I thought it was over. These moments were rare but obvious enough to make me think this game was rushed out the door without sufficient testing. I have a few more irritations to the game but nothing really concrete. These things don't overwhelm the good in the game, which is mostly carried over from Arkham City but they are certainly notable. So what are the good points of Arkham Origins? The things which stand out as original compared to Arkham City? The first thing is Gotham City is gorgeous. The environments recycled from Arkham City are altered for their heyday and the dilapidated urban wasteland of the previous game is re-envisioned as a thriving urban metropolis. The new environments are equally entertaining, showing a Gotham City which is in its height of economic prosperity but still an Art Deco nightmare containing a corruption impossible to extirpate. The Boss Battles of Arkham Origins are a massive improvement over Arkham City's own. Missing from the previous games is the appeal of a Gotham City super-crook showing up and Batman beating the crap out of him. In Arkham City, you have to sneak up on Deadshot and take him out in one blow. In Arkham Origins, you have to beat the crap out of Deadshot numerous times before he finally takes a hostage. THEN you have to take him out in one blow. There's also the fact battling Deathstroke is like fighting a katana-wielding Captain America, nearly impossible for our hero to defeat and totally awesome. Bane, never used well by these games, is combined with his movie characterization to be the Joker's equal. I also give the game props for excellent voice-acting. Despite the absence of Kevin Conroy and Mark Hamill, both Batman and the Joker are still recognizable. Bruce being younger and angrier makes the story's character progression more interesting. There's even a Breaking Bad reference where Batman explains to Alfred that, no, Gotham's criminals do not knock on his door--he knocks on theirs (the actual line is far more badass, however). It's also wonderfully subverted when someone, I won't say who, most definitely does knock on the Batman's door. In conclusion, Arkham Origins is a game which could have been so much better if it had been edited and tweaked as well as properly play-tested. There's flashes of genius in the game like the absolutely breathtaking Joker level in the Gotham City hotel. Unfortunately, these are interspersed with long boring periods of grappling around the empty city. Weirdly, I felt like Spiderman since I was doing so much of it. Batman: Arkham Origins is a disappointing game but it's still decent and worth a look at.